In July 2001, when France was already intent on having ITER built on a stretch of land adjacent to CEA-Cadarache, Roger Pizot, the mayor of Saint-Paul-lez-Durance, made a brilliant suggestion. Why not ask the local governments to contribute financially to the project? The ITER Members at the time were only three*—Europe, Japan and Russia—and the project was billed at around EUR 6 billion. In this context every kind of support, whether political or financial, was most welcome. Pizot's suggestion, once accepted, provided both: it brought EUR 467 million to the project and demonstrated the determination of the local governments of the Provence-Alpes-Côte d'Azur (PACA) Region to welcome the international scientific endeavour. The PACA region is very diverse. Some of its six départements are relatively wealthy and heavily populated; others—deeply rural—have some of the lowest gross domestic product (GDP) in the country. Despite differences in population and economic standing all six decided to contribute. For example the Bouches-du-Rhône (pop. 2 million), which ranks fifth out of 96 départements in terms of GDP, pledged EUR 152 million; and the Alpes-de-Haute-Provence (pop. 161,000) and the Hautes-Alpes (pop 138,000), respectively ninety-second and ninety-third in terms of GDP, pledged EUR 10 and EUR 5 million**. In following Roger Pizot's suggestion, the local governments made a sound investment. The construction and service contracts awarded by the ITER Organization, Fusion for Energy and Agence Iter France to PACA-based companies since 2007 now amount to more than EUR 1.4 billion. Companies in the rural Alpes-de-Haute-Provence département have reaped more than EUR 30 million in contracts—representing more than EUR 186 per inhabitant. 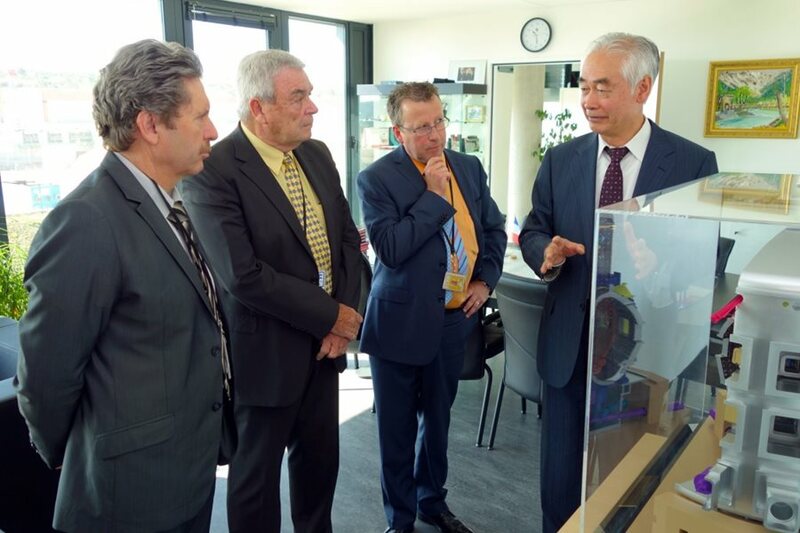 This is all very good news for Gilbert Sauvan, the president of the departmental council (Conseil général) since 2012 and a member of the French National Assembly who visited ITER on Thursday 17 April. 'We are very proud of having ITER here,' he said. 'The Project already acts as a strong booster for local and regional technological and economic development. At the national level however, and this is obvious from the ongoing energy debate at the National Assembly, there's clearly an information deficit on what ITER is really about. We have to work on that and I definitely will.' The impact of ITER on its local environment is already considerable. And it's only a beginning: as 16 new building projects get underway in the months to come and machine assembly kicks off, the number of workers on site in 2015 will reach 1,000 and continue to grow. * The US, having pulled out of the project in 1998, would only return in 2003. ** The départements of Var, Vaucluse and Alpes-Maritimes; the regional council PACA and the Greater Aix-en-Provence metropolitan area also contributed. In May a truck charged with high-voltage electrical equipment sent by the US Domestic Agency will arrive at the ITER site—a seemingly unassuming event, but one that will mark the debut of a new ITER phase. As the first* in-kind delivery of plant system components, the event starts off ITER assembly and installation which, from that moment, will proceed in parallel with building construction until the ITER Tokamak is sealed and First Plasma achieved. During this time the Domestic Agencies will ship an estimated one million components (as many as ten million individual parts) to the ITER Organization. The delivery will also be the first occasion to test the new ITER Material Management System that is charged with managing how these millions of items will be labelled for shipment, tracked, registered as they arrive on site, stored and then readied for assembly and installation. The sheer volume of data to be tracked is staggering. For every individual part, large or small, the material management system will be asked to store all the information relating to the supplier, the shipment, the product (ITER part numbers, supplier references, dimensions, technical characteristics, serial numbers) as well as its location, history, maintenance plan and on-site status. ITER is built up of many sub-assemblies—groups of individual parts pre-assembled into a module in order to fulfil a specific function within the machine, often in a faraway factory. The system will need to record the details of each individual piece and then assign a unique reference number to the completed assembly. This high-level of traceability is absolutely necessary to comply with safety regulations applicable to every nuclear facility; these require strict control of materials, components, maintenance and all changes. 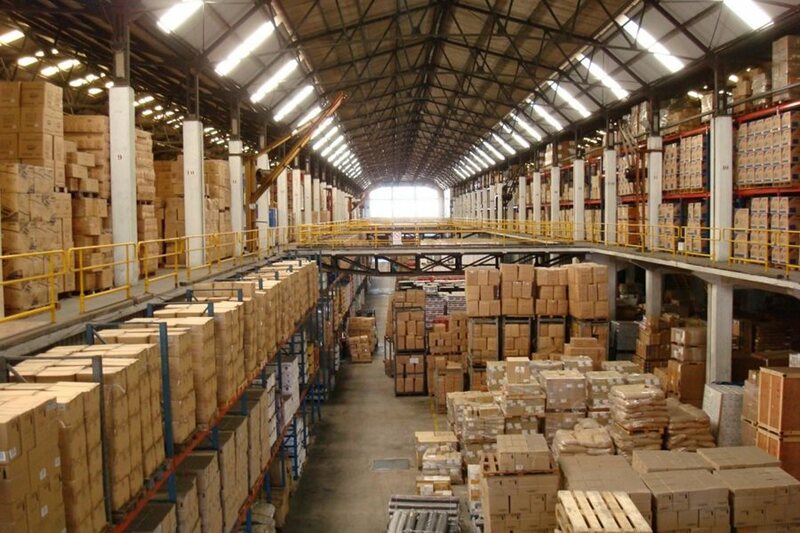 The material management system is intended to also generate important efficiencies and cost savings, avoiding time lost in looking for stored components and helping to manage material surpluses or shortages. 'The scale of the assembly project we are undertaking is absolutely without precedent,' says Ken Blackler, head of Assembly & Operations Division. 'In terms of the amount of work, complexity, and the number of different plants systems within our installation, the construction industry has compared the ITER Project to building two nuclear power plants at the same time. We need experienced teams and the tools to do the job.' The ITER Organization now has an industry-standard solution to accompany this assembly and installation work, including material management. 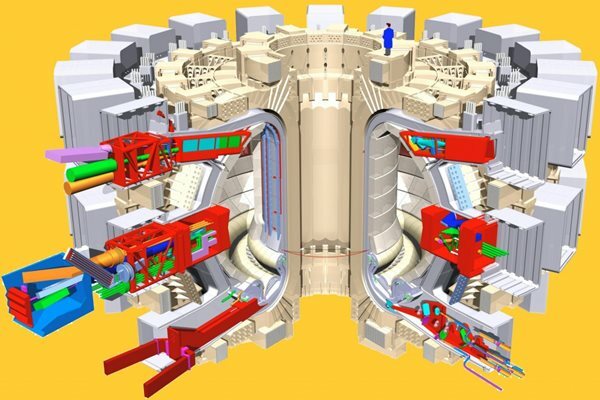 SmartPlant® Materials, by Intergraph, is already installed on ITER servers and work is underway to configure the system to match ITER-specific needs. Hervé Voilquin works as an external contractor in the Assembly & Operations Division to help ITER divisions define their needs and to interface with the software publisher. "The ITER Organization has chosen a flexible system, with a high degree of adaptability to the needs of different technical divisions,' explains Hervé. 'That's important for a project like ITER, where some of our processes are still under development. The system will only be as good as the data it contains, so we'll make sure to do a lot of in-house training.' In the coming months a number of initiatives will be launched to familiarize users at ITER with the SmartPlant® Materials tool, which will be gradually rolled out this year in collaboration with the Project Information System Section, IT. At the same time, a web based portal will be developed to allow Domestic Agencies and suppliers around the world to send the necessary input data before parts are shipped. In addition, a live data feed will be provided into the system by ITER's Global Logistics Service Provider DAHER, who will manage the transport of all goods to the ITER site. Each different type of hardware to be delivered will be assigned a part number. Ultimately, by entering its reference from any workstation connected to the ITER network, operators will know the live status of the part, where it is in the world, whether it has been delayed and why and, once arrived, precisely where it is stored on site. 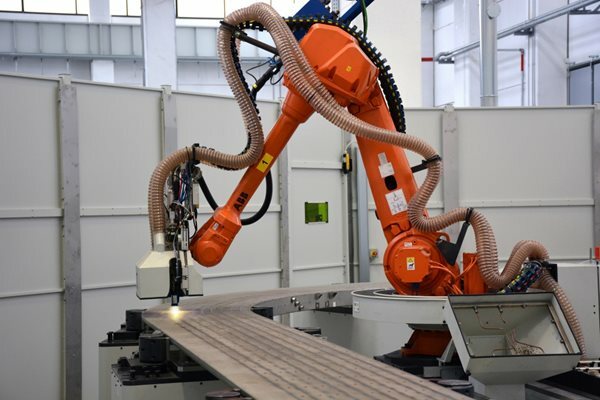 Such accurate information will allow the construction work to be dynamically planned based upon availability—the more efficiently operators can reply to such requests, the less delay will be incurred during the installation work. The delivery in May will be the first real test of the material management system, to be followed within a few months by the delivery of many large cooling water pipes from India. 'These early deliveries will help us to get material management up and running, test the accurate recording of data, and initiate close collaboration with procurement teams here and abroad,' says Hervé. 'Given the amount of work we have ahead of us, the sooner we start, the better.' * Two shipments from China reported in Newsline on 4 June 2013 and 13 January 2014 contained dummy conductor for the purpose of commissioning the poloidal field winding line (not completed components for assembly). In the months to come no fewer than 16 building projects will be set into motion on the ITER worksite. Laurent Schmieder, Site, Buildings and Power Supplies project manager, is responsible for overseeing all site works, coordinating with the consortium project teams and interfacing with the ITER Organization on behalf of F4E, the European Domestic Agency. He took time last week to answer questions about the changes we can expect to see in 2014. Since a consortium was selected to build the Tokamak Complex in 2012, how much progress has been made in tendering procedures and contract signatures for the other buildings or technical areas of the ITER scientific facilities? We're nearly there. Since construction activities began in 2010, F4E has signed contracts worth EUR 900 million for the creation of the ITER scientific facilities. The early contracts were for the excavation and reinforcement of the Seismic Pit, site adaptation works and drainage galleries. In the last 12 months, we've chosen contractors for nearly all of the building packages. The largest of these (EUR 530 million) was signed in October for the electrical and mechanical services of the Tokamak Complex. Two contracts for a total value of approximately EUR 150 million remain to be signed in 2014 for high-voltage electrical installations and diesel generators. After that, we can consider that 75 percent of the building program will have been signed off to building consortiums. How will the work be organized on site? Very carefully, as you can imagine. 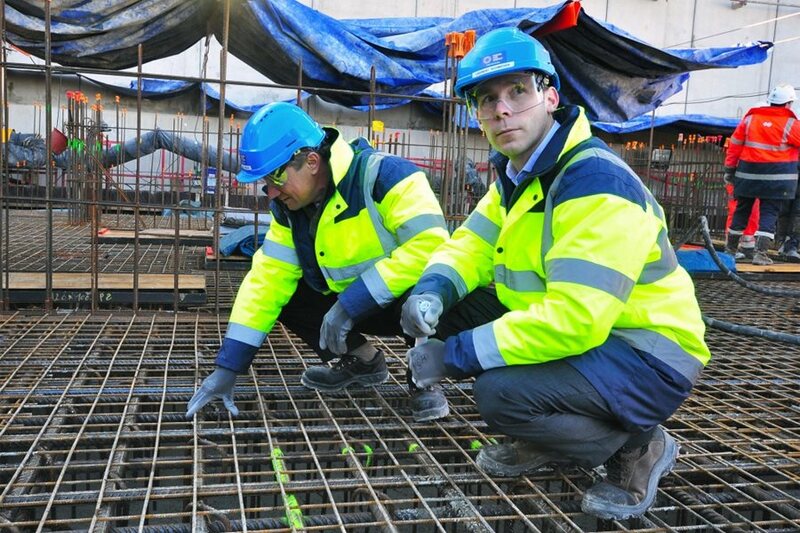 We're expecting 600 workers on site this year and 1,000 in 2015. F4E has signed two important contracts to help in the management of the construction site. For Health and Safety Protection, F4E signed a contract in 2010 with the French firm Apave; this company is responsible for the health and safety plan on the site as required by French law and for supervising, from an occupational safety point of view, all work during construction. ENGAGE, the architect/engineer consortium, will be assisting F4E throughout the entire construction phase, from the elaboration of detailed designs to the final acceptance of the works (buildings, site infrastructure and distribution of power supplies). At the peak of design activity, more than 230 engineers and designers will work under this contract. What changes can we expect to see this year on the platform? The platform will change dramatically. Work on the Site Services Building begins this month on the northeast corner of the platform. In July work will begin on Assembly Building—it's a relatively straightforward steel structure that will be completed within three months, but at 60 metres tall it will certainly be a noticeable change to the platform. Construction starting on the Cleaning Facility, the Radio Frequency Heating Building, the Control Building, the magnet power conversion and reactive power control buildings, and the cryoplant compressor buildings will also contribute to changing the platform profile. Building work on the cold basins and cooling towers kicks off in July. For the Tokamak Complex, contractors will begin in September on the walls of the lowest basement level and by the end of the year they should start on the next level. These will be very exciting developments to keep watch for. How will your responsibilities evolve as the building site becomes more and more congested? As construction companies move in over the next months and years, every square metre of the platform will be used for offices, lockers, storage, workshops, delivery, on-site transport, etc. Between the construction teams and the delivery of components, the site will be a real beehive of activity. It's true that activities of my team are changing as we make a transition from tendering and contract awards to design, construction and contract implementation. But whatever the phase has been, I can say that there has always been one constant—we are under time pressure! Every day there are new challenges that we need to tackle and new situations that we need to assess. It makes our activities very interesting. The 7th ITER International School will be held on 25-29 August 2014 at ITER on the first day and downtown Aix-en-Provence on the second. The focus this year will be on "Highly parallel computing in modelling magnetically confined plasmas for nuclear fusion." 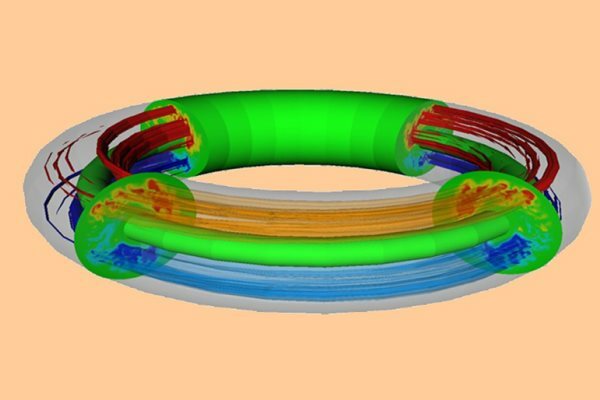 This subject has an interdisciplinary character: high-performance computing is a key-tool for facing problems in different fields of magnetically confined fusion. It is one of the main subjects for achieving the expected results in the future ITER reactor. The ITER International school aims to prepare young scientists for working in the field of nuclear fusion and in research applications associated with the ITER Project. The first ITER school was organized during July 2007 in Aix-en-Provence, and was focused on turbulent transport in fusion plasmas. Five different editions have followed: 2008 in Fukuoka, Japan (magnetic confinement); 2009 in Aix-en-Provence (plasma-surface interaction); 2010 in Austin, Texas (Magneto-Hydro-Dynamics); 2011 in Aix-en-Provence (energetic particles); and finally 2012 in Ahmedabad, India (on radio-frequency heating). More information here. ​​In theory, it's possible to shoot some energy at hydrogen and get even more energy back. The process is called thermonuclear fusion, and if we could ever get fusion power to work — a big if — we'd never have to worry about our energy problems again.It's not a completely crazy notion. Nuclear fusion already takes place in the sun's core, after all. And the promise of fusion power has led researchers to try their best for decades upon decades. Occasionally, they even make some advances — as happened this past winter, when scientists got closer to fusion power than ever. Trouble is, the scientific and technical hurdles ahead are still enormous — in fact, we still don't have a full grasp on what all the hurdles might be. Still, the potential pay-off is so massive that countries have sunk billions and billions of dollars into fusion research. So here's a guide to how far humanity has come on thermonuclear fusion — and how far we still have to go. Read more on Vox website.